Labor chairman says he was trying for a year to convince former IDF Chief of Staff to join forces, without success. Labor chairman Avi Gabbay acknowledged on Wednesday that a joint run for the Knesset with Benny Gantz was no longer a possibility. Speaking at a conference of the Kibbutz Movement at the Dead Sea, Gabbay called on the former Chief of Staff and on Yesh Atid chairman Yair Lapid to pledge not to be part of the next government if it is headed by Binyamin Netanyahu. "We cannot have a split that will lead to the establishment of the fifth Netanyahu government," Gabbay pleaded, according to Hadashot TV. He wondered aloud whether the parties would give their consent to the establishment of a government by a prime minister who is involved in investigations. "Are we committed to change, or do we know how to be shocked by Netanyahu's speeches, only to give him legitimacy to continue doing so while we are at his side?" he asked. "We are in a political period like no other, new parties are emerging every day and trying to tell us a new story," continued Gabbay, adding, "Over the past year I have tried and I am still trying to connect these parties." He revealed that he had held contacts with Gantz for more than a year in an attempt to include him on his list, "but he chose to start differently, that’s his right." Gabbay made it clear that running together with the former Chief of Staff was no longer on the agenda. "But before all the dialogues and connections, and who will lead and what they will lead, there is one question that needs to be answered: Do we share a commitment not to sit in a government headed by Netanyahu? Are we committed to change?" added Gabbay. The Labor party has continuously recorded low numbers in election polls. A poll published on Tuesday gave Labor just eight Knesset seats. Gantz’s new party, Hosen Yisrael, wins 12 seats in the poll. 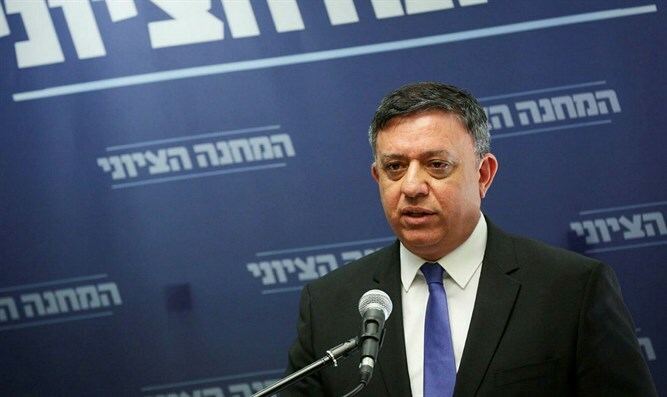 Gabbay has dismissed the polls which predict his party will not reach double digits in Knesset seats in the next elections and insists he is an alternative to Netanyahu. Some Labor MKs, frustrated with the party’s inability to gain traction in polls, have been openly calling on Gabbay to vacate his position for another candidate.